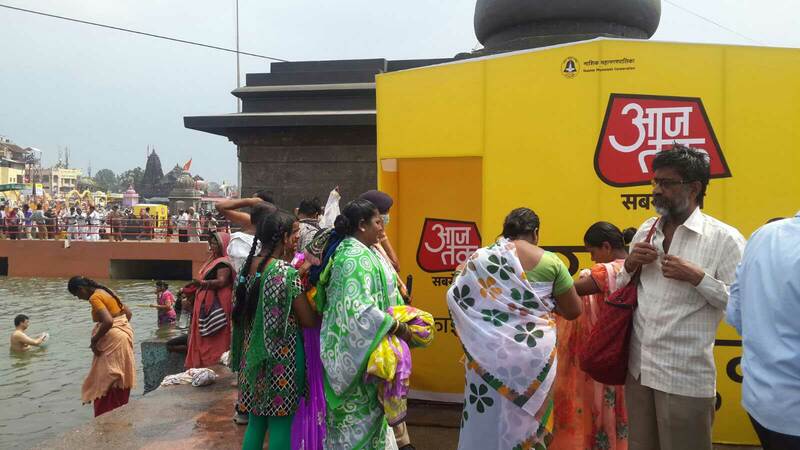 The news channel Aaj Tak has taken an initiative to spread the idea of cleanliness or “Safaigiri”. 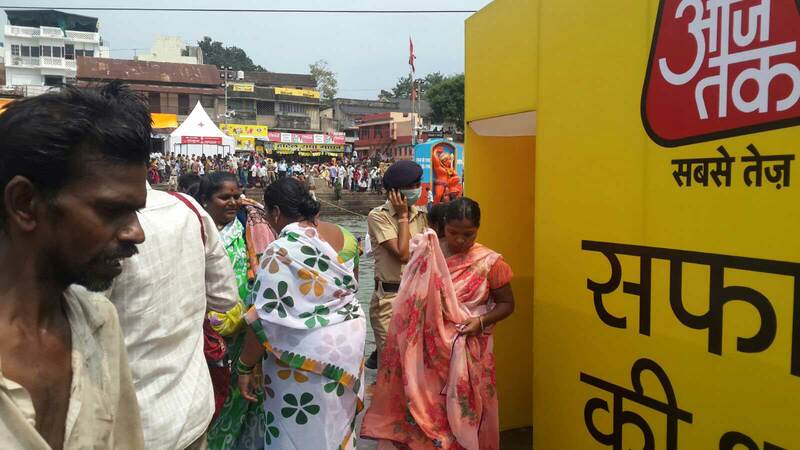 To this end they chose the occasion of the Khumb mela to start this campaign. 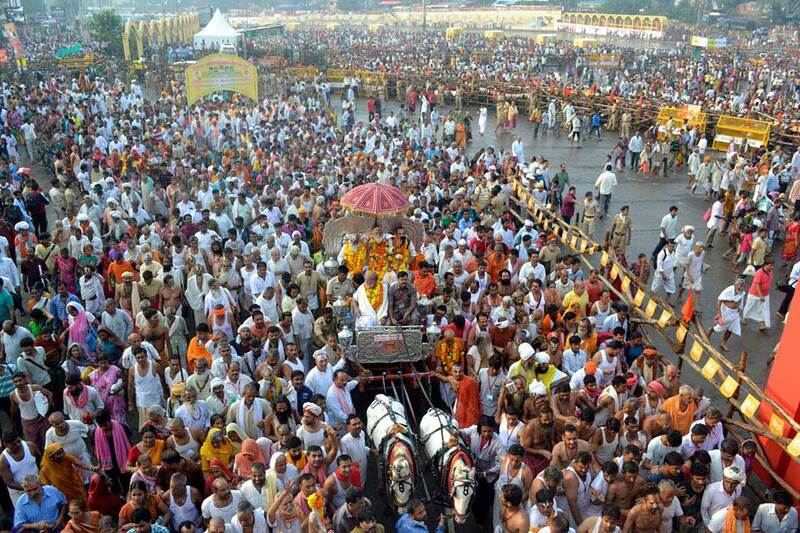 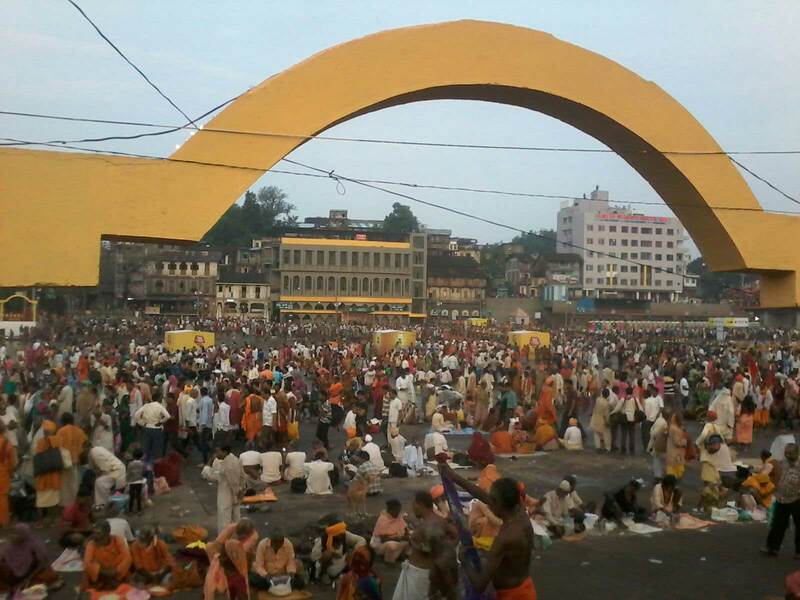 The Khumb mela is one of the largest congregations of people in any place on the planet. 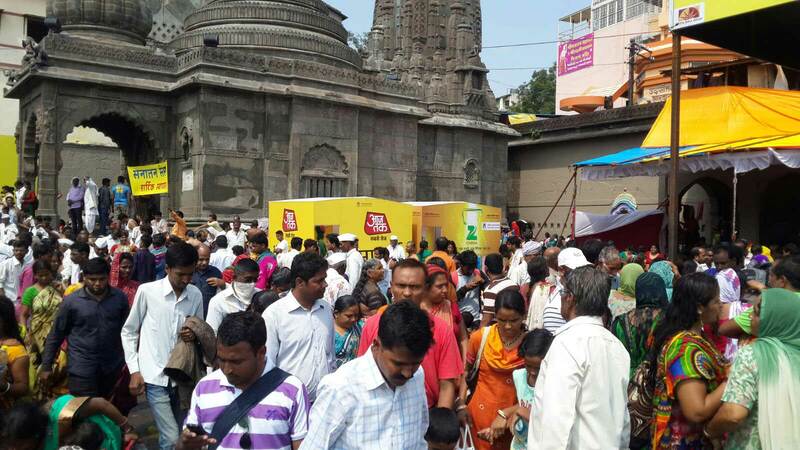 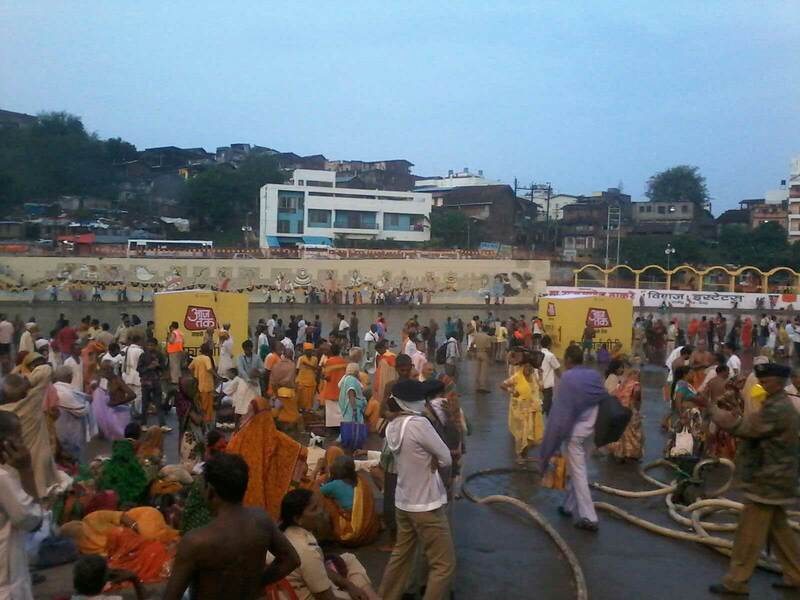 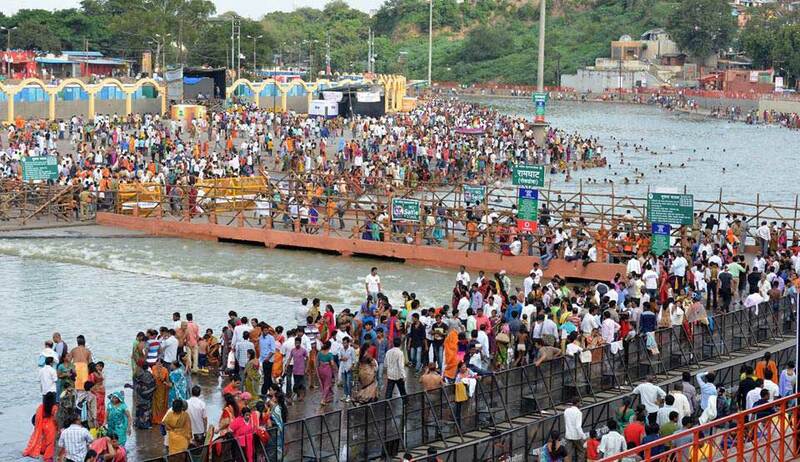 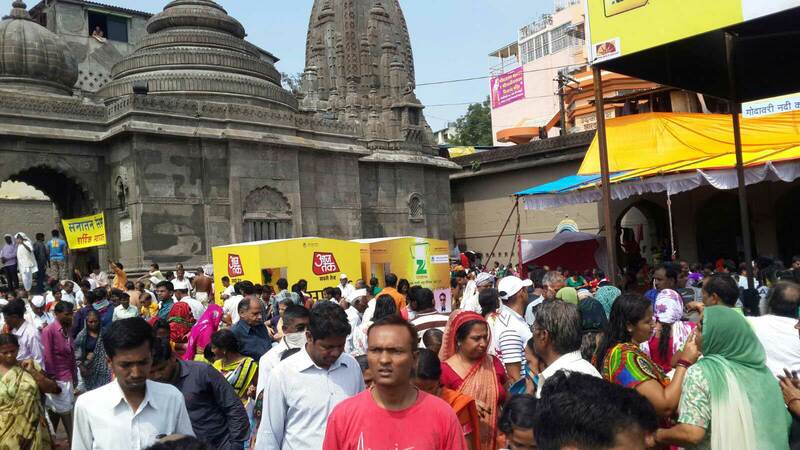 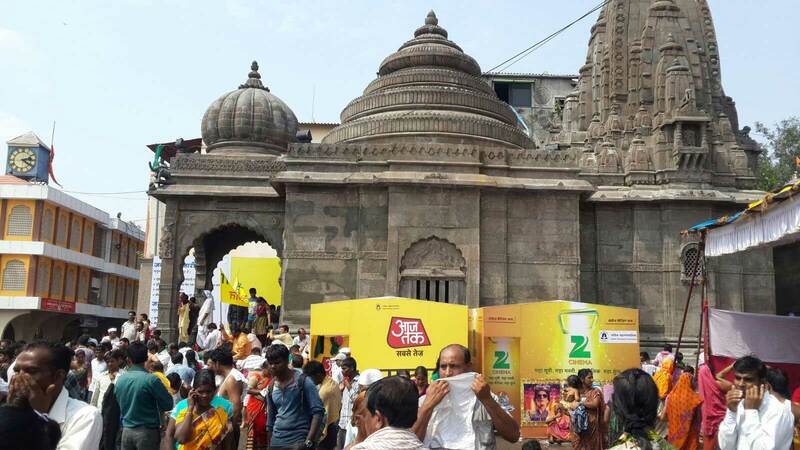 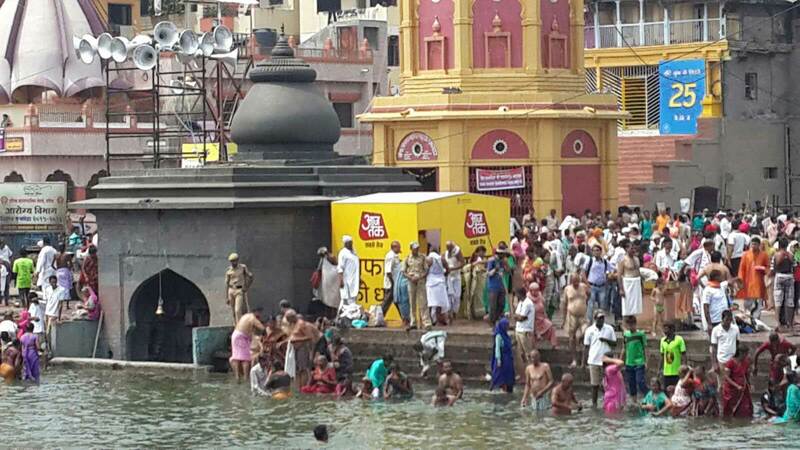 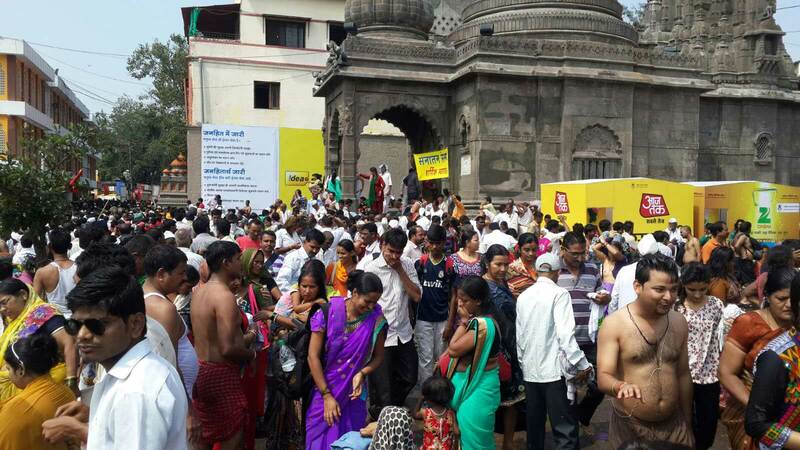 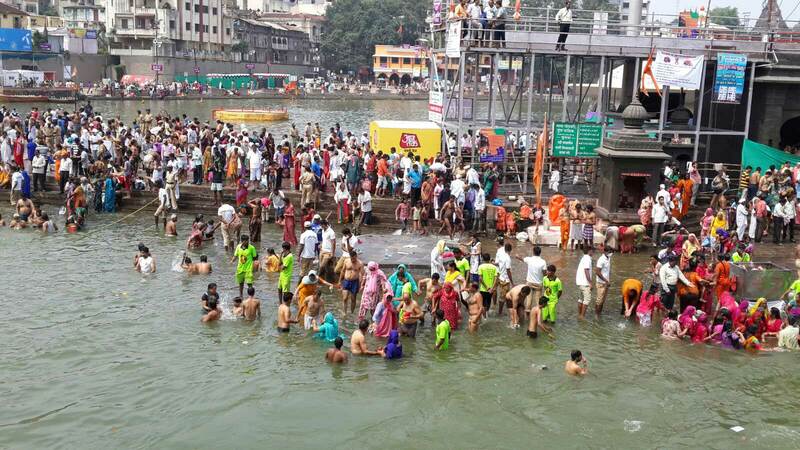 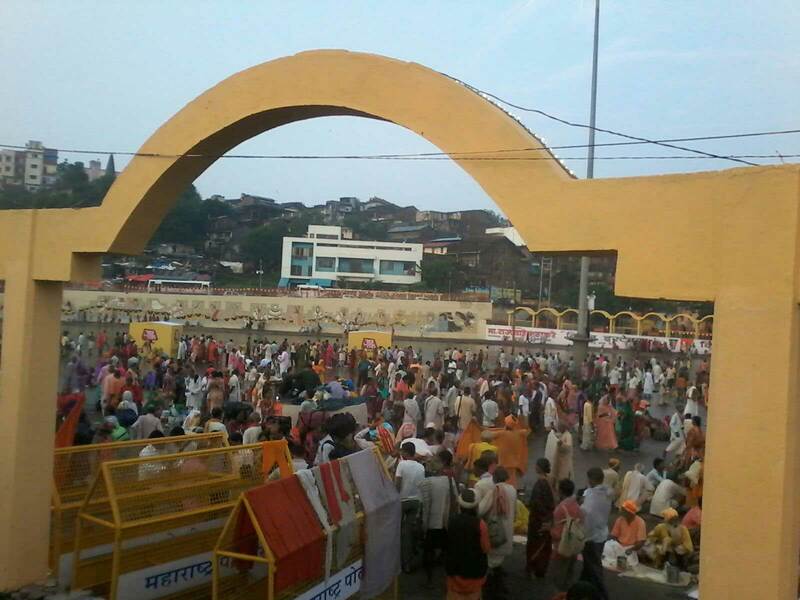 The last Khumb mela was held in Nashik, for the first time in 12 years. 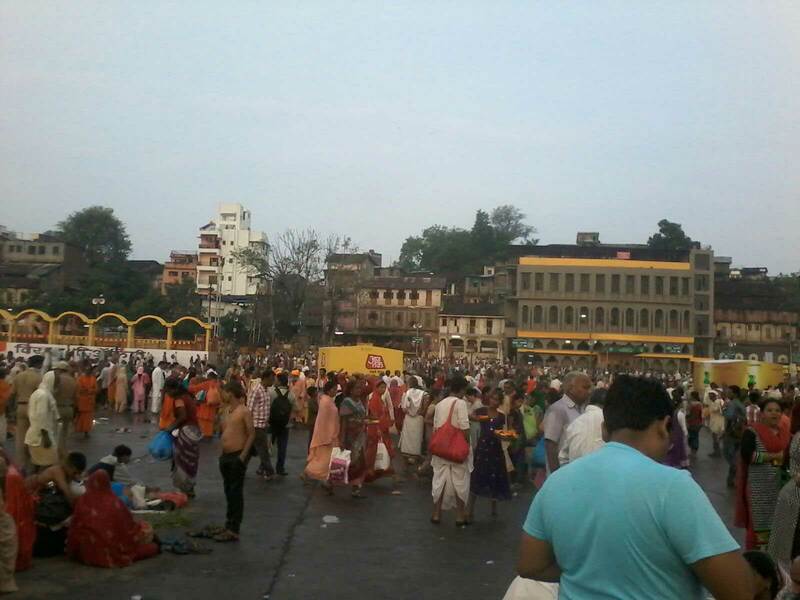 The large crowds created an ample amount of dirt and rubbish. 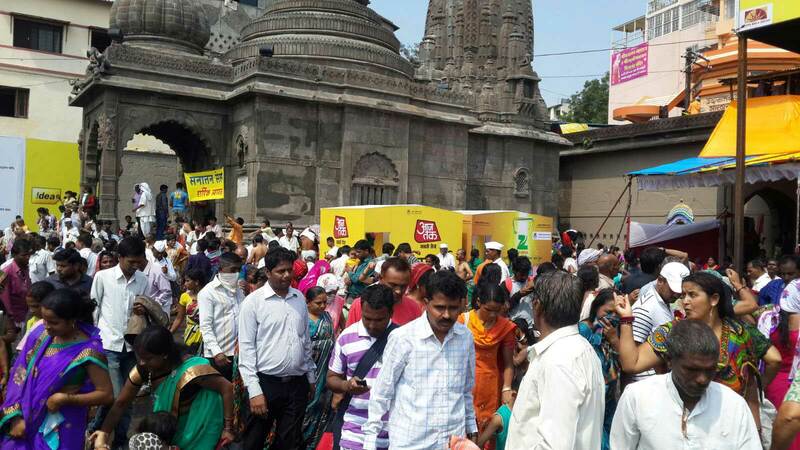 Real World promotions saw this as an ideal opportunity to spread the message of “Safaigiri”. 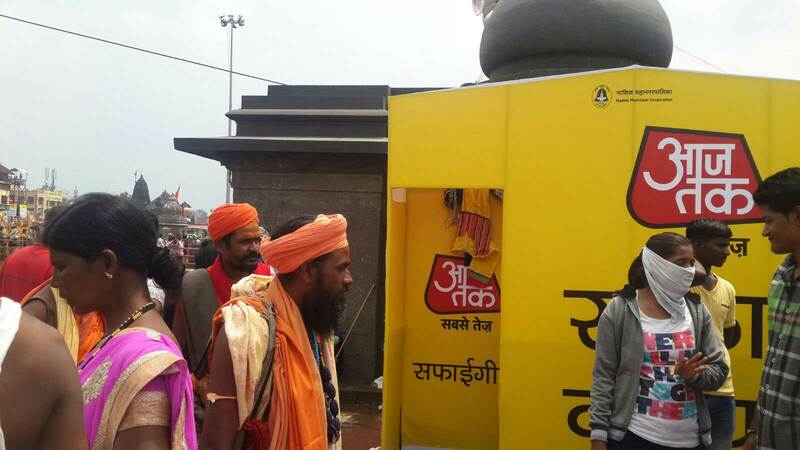 We set up branded changing rooms at the river bank where people took the ritual bath. 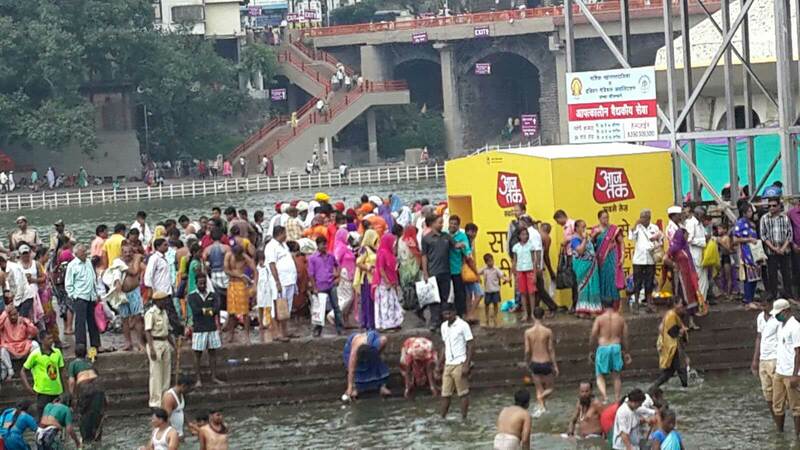 Every time a person entered the room the message of “Safaigiri” was heard inside. 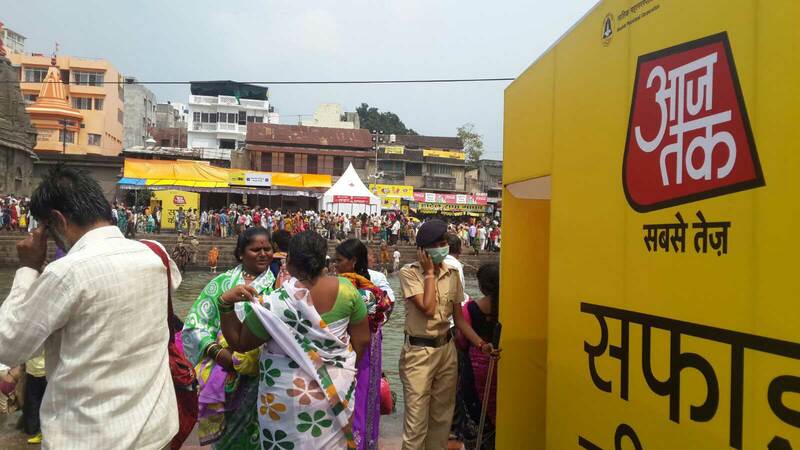 This crated an awareness among the people to keep the place clean.